Ratting/loose washers? Not a problem! Space? Im always happy to try and fit ponies in wherever there is space; even if i dont have much of it! Send me any number of ponies you want! And for my update: I have secured one pony for my partner and am in negotiations for the second. i have some creative plans which I shall also pursue when Im back from holiday ^^ Im a bit worried I wont be having enough in my box though. My partner's ponies are proving difficult to find for a reasonable price. I need to get my thinking cap on! Does my partner have a lot of space, or are they quite restricted? I wish to send a large box. Is there any pony type thing you want/have been looking for, even if it isn't part of your army? I have no Pony Wear at all, maybe a lose outfit? I adore the dragon outfit for babies. It rattles and I'm asuming that it's the washer that has come loose inside. Would this bother you? Won my first pony for this swap at lunch time. I quit after the first outbid; I didn't want to get frustrated, so I've been stalking the Classifieds and Sales threads. Two potential candidates for my partner this morning! Does my partner have a lot of space, or are they quite restricted? my army have their own shelves, so *lots* of space! finally bought something for my partner, yay! Wow. We've all gone very quiet recently! 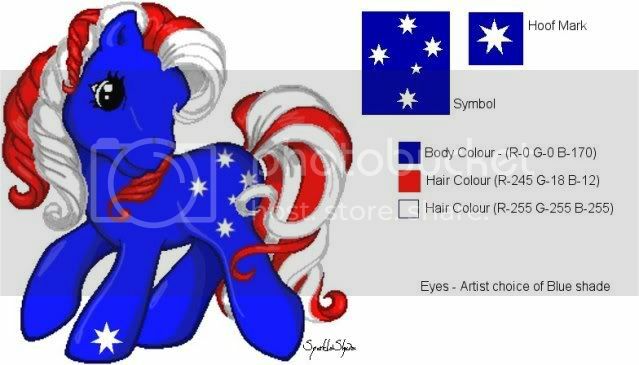 Busy buying ponies I hope XP Ive now got a second pony for my partner so its going ok for me. How bout everyone else? my partner can make the parcel as big as they like! !